But few Christians are willing to do so on TV. Fewer still are able to do a good job. 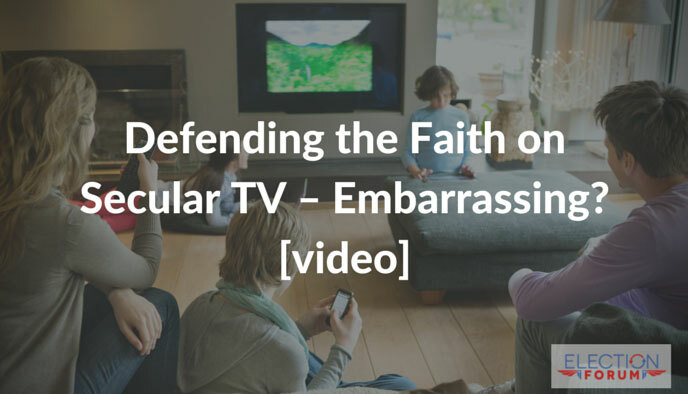 It’s sad, but Christian pastors, evangelists, TV personalities, and professors are great at talking to Christians but are not trained to speak before a broad audience… or in a hostile environment. Franklin Graham does it, and does it well… and also gives the gospel. Always. Here is Larry Taunton willing to go on ultra liberal Al Jazeera America network with an atheist and Muslim. How well did he do? What else could he have done? Are you willing and able to “make a defense to anyone who asks you”?